The Ontario native and Maine resident has a unique flair, but also a keen rapport with players and coaches. Wes McCauley keeps his good calls close and his bad calls closer. Any time the veteran NHL referee is feeling too good or gets down on himself, he breaks out a binder full of his missed calls and looks through it. McCauley’s arms have signaled countless penalties, goals and no-goals since his NHL career began in 2003. He has developed a reputation as not only the most animated referee in the game but the best in hockey based on his consistency, rapport with players and coaches and a demeanor that’s equal parts entertaining and professional. 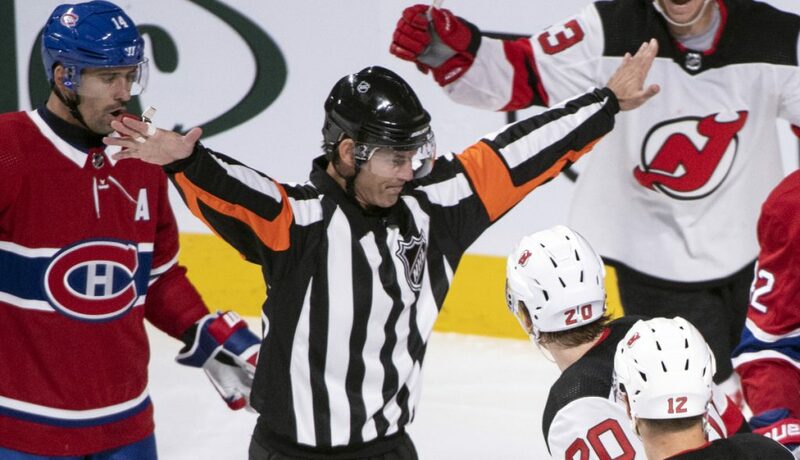 In an NHLPA poll last spring, almost half of players chose McCauley as the league’s best referee, honoring a man in stripes who’s far more used to getting barked at than complimented. McCauley has his own highlight reels because he enjoys hamming it up when he makes announcements. When he reaches to his right hip to turn on the microphone, it’s must-see entertainment. His flair for the dramatic once sent former Rangers Coach Alain Vigneault into a laughing fit on the bench, and it has been the subject of mocking from veteran officials for just how demonstrative he can be when whistling a penalty or waving off a goal. McCauley knows he’s more exuberant than he has to be, but that’s part of the fun for him and players. McCauley earned the votes of 47.8 percent of players as the NHL’s best referee, well ahead of second-place Kelly Sutherland (17.7 percent). The 46-year-old from Georgetown, Ontario, is the most popular and respected ref because he gets it right more often than not, apologizes when he doesn’t and knows how to explain his calls to players and coaches. McCauley gets that. He played four seasons at Michigan State from 1989-93, had a cup of coffee in the minors and figures his relationships with players from that era bought him the benefit of the doubt, and some of that still exists. Best referee out there? “Now you jinxed me – now I’m going to be up and down like a toilet seat next season,” McCauley quipped. Maybe earlier in his career that was a danger, though McCauley now has 957 regular-season and 131 playoff games under his belt and has worked six Stanley Cup finals. Over that time, McCauley has developed a balance between knowing that players see him as an obstacle while still communicating with them to the point they know him personally. Even if players aren’t happy with his calls, they appreciate McCauley’s honesty and ability to have just as big a mouth as they do.